This is a piece of code adapted from my "Class Map" project. It is assumed that the DC coming in has already had the desired font selected into it. The printing is controlled by state managed in an instance of a GraphicInfo structure which is passed around the various calls. The initial caller must set up the parameters that control the appearance, and if printing, the page size. // I set it to NULL here! Then I have to set it back so CDC::GetCurrentPosition works! There is a method, CWnd::Print, which will send a WM_PRINT message to the window. This is not particularly useful for the purpose I needed. 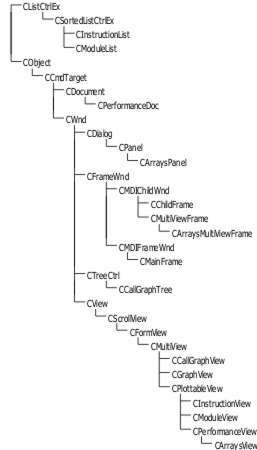 I wanted to print the entire, expanded tree, whether it was visible in the window or not, and whether or not a node was expanded in the display. The WM_PRINT mechanism renders exactly what is in the window, as displayed. If all you need is the contents of the actual window, then WM_PRINT will work, but that is not the problem I needed to solve. It should be obvious how to modify the code above to handle collapsed nodes. When a recursion occurs, the state of the HTREEITEM can be checked, and if it is in a collapsed state, then the recursive call for its child nodes will not happen. I leave this as an Exercise For The Reader. I didn't need to print bitmaps (as one might in a tree control that represented, say, file folders and files) so I did not include code to do that. What about page headings and footings? Page headings and footings are left as an Exercise For The Reader.